"We fight, or we die." 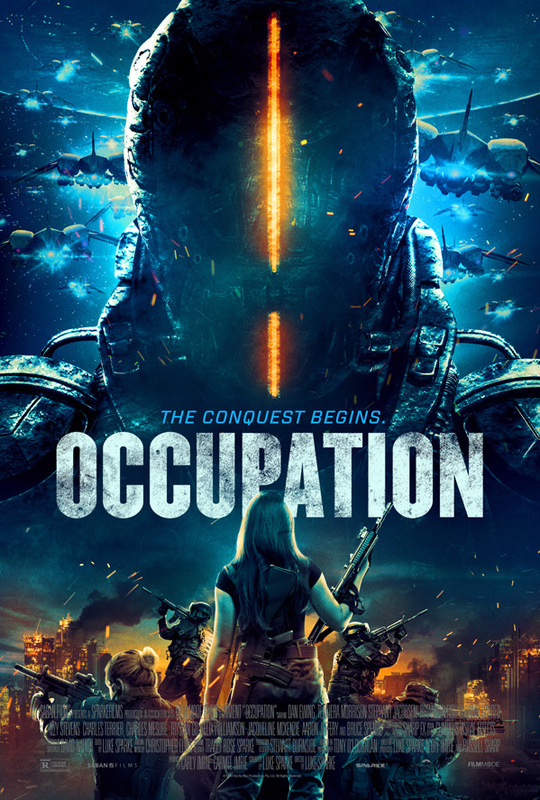 Saban Films has released a brand new official US trailer for the Australian sci-fi alien invasion thriller titled Occupation, from writer/director Luke Sparke. We posted the international trailer for this a few weeks ago and this looks even worse. The film is about a small group of town residents who have to band together after a devastating ground invasion from alien invaders. As they struggle to survive, they realize they must stay one step ahead of their attackers, and work together for a chance to strike back. The big Aussie cast includes Temuera Morrison, Stephany Jacobsen, Dan Ewing, Rhiannon Fish, Zachary Garred, Izzy Stevens, Charles Terrier, Charles Mesure, Felix Williamson, Jacqueline McKenzie, and Bruce Spence. This seems like another awful Red Dawn remake of sorts, and this trailer doesn't even show the aliens like the other trailer. Probably because they know they look bad? Watch below. You can also still watch the other international trailer for Occupation here, to see a bit more footage. After their small Australian country town is annihilated by an overwhelming airborne attack, a group of local civilians evade capture and discover they are now among the last remaining survivors of an extraterrestrial invasion engulfing the entire planet. As humanity falls under world-wide occupation, they form a home-grown army to fight back against vastly superior enemy forces. On the frontlines of the battle for Earth, they are our last hope. Occupation is directed by Australian filmmaker Luke Sparke, director of only the film Red Billabong previously and a former costume supervisor. The screenplay is also written by Luke Sparke, with additional dialogue by Felix Williamson. The film is set to open in Australia & New Zealand starting in July this summer. Saban Films will later release Sparke's Occupation in select US theaters + on VOD starting July 20th this summer. For more, visit their official website. Who's curious?